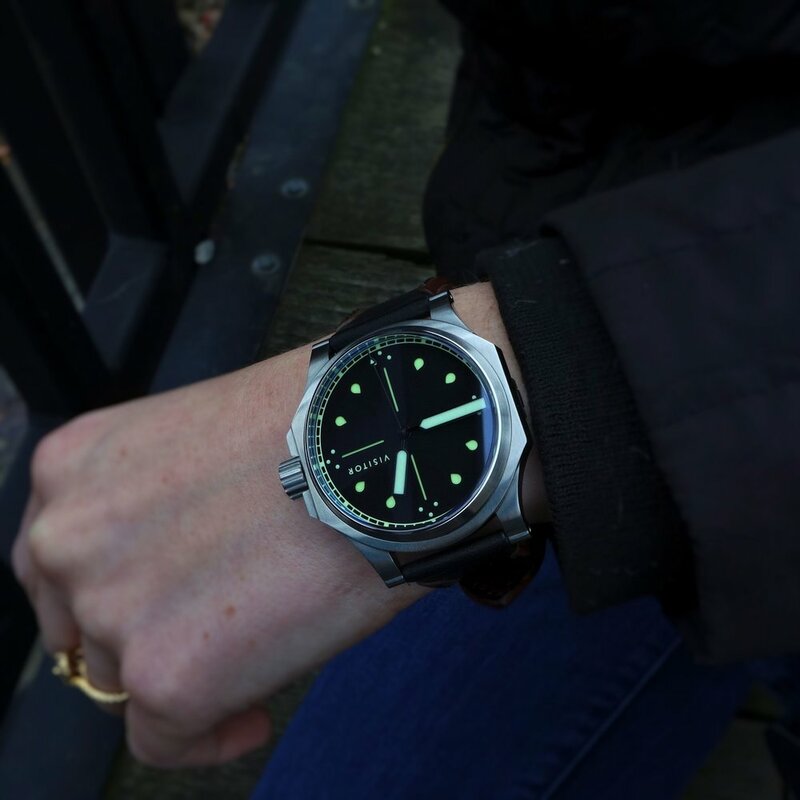 Vale Park Officer — Visitor Watch Co.
Add your name to the Vale Park wait list to receive first-come-first-served order access when a watch becomes available! The Vale Park will be the first model in the new Officer collection. Its case measures 39.5 mm x 41 mm (44.2 mm to the crown), 11.6 mm thick, and 47 mm lug to lug. 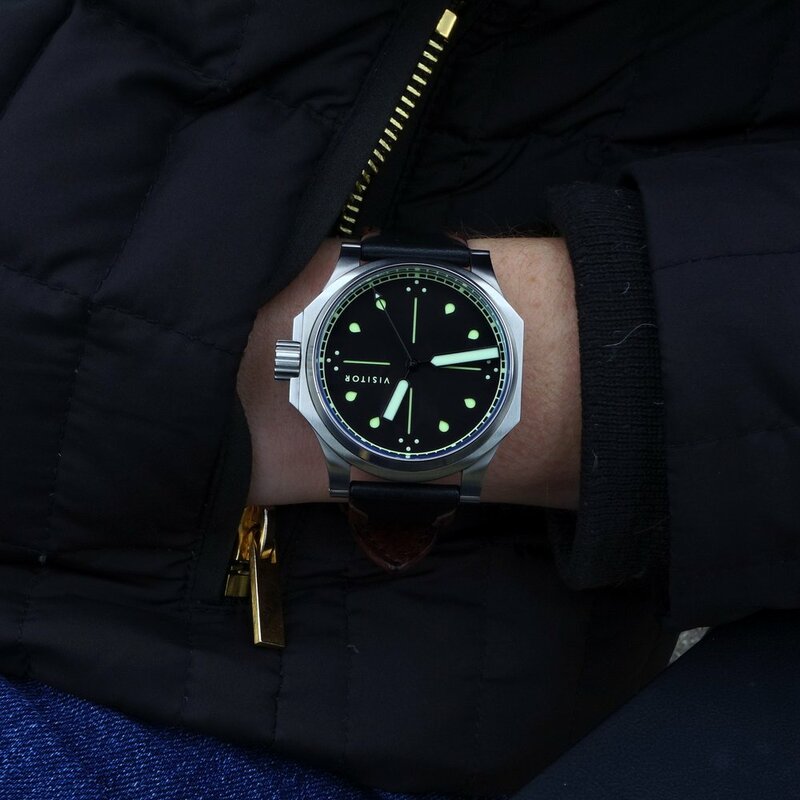 The Vale Park has a matte black sandwich dial with cross-hairs and hour markers cut out, exposing a lower layer of C3 SuperLuminova, which is also used for the remainder of printing on the top dial. 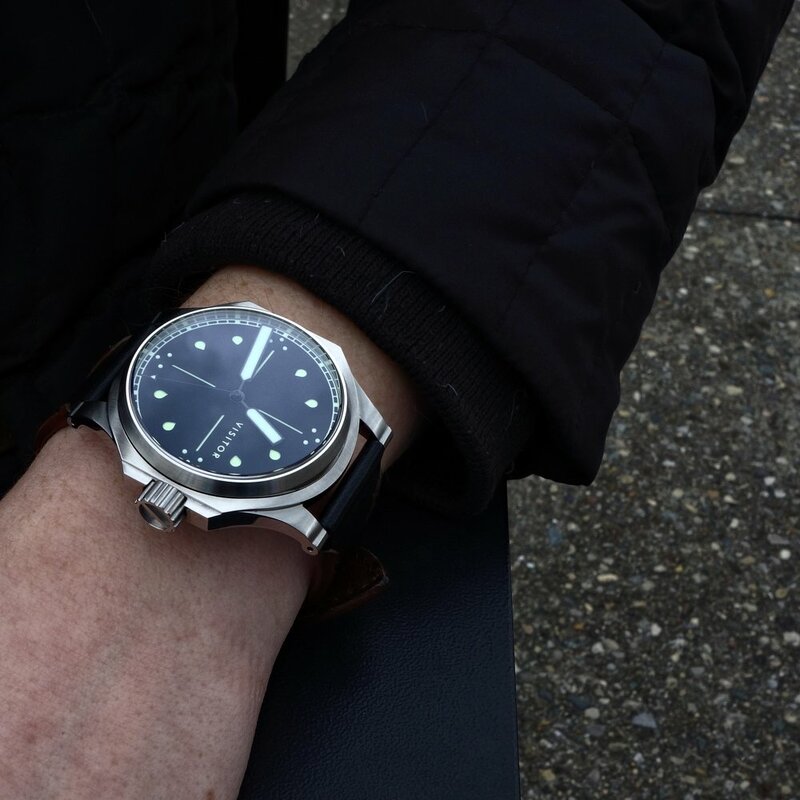 C3 also fills the hour, minute, and second hands, which are otherwise black. The lugs of the Vale Park are rolled at the end and drilled through, and the case is treated to a variety of finishes: most horizontal surfaces are brushed, most vertical surfaces are polished, the crown is partially bead-blasted, and the interior of the officer's caseback is finished with perlage. The officer's back employs a unique release with a catch-lip that nests in the screw-down crown. To release the back, the crown is slightly unscrewed, allowing the back to open once the catch-lip is cleared. It requires just less than a half turn, well before the crown disengages the thread and enters winding position. 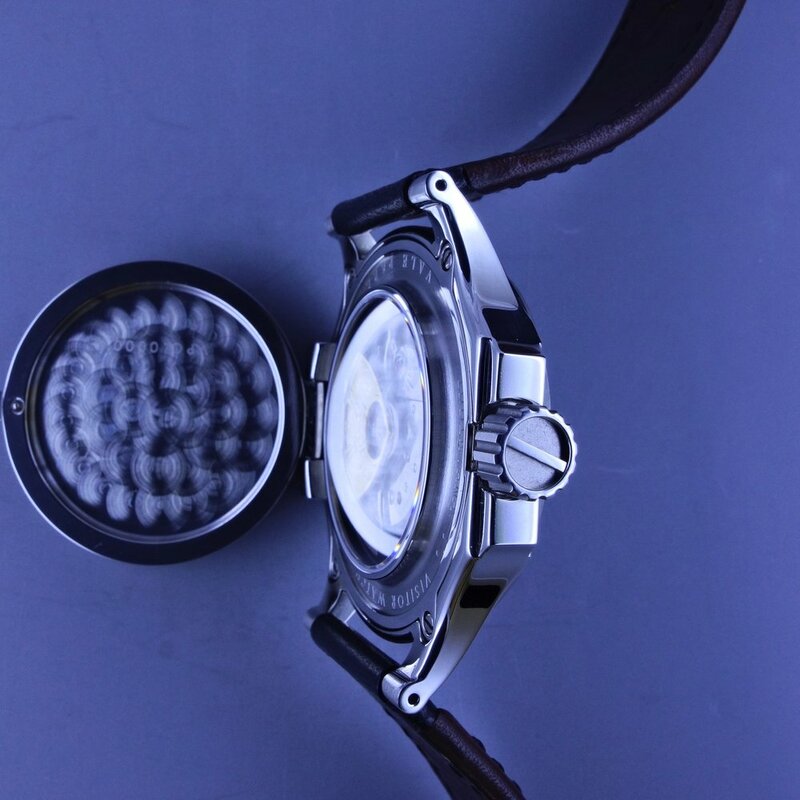 With the back open, the custom rotor on the Miyota 9015 is visible through a sapphire exhibition crystal. This rotor is made of two pieces: the embossed, gold-toned Visitor emblem and the base 9015 rotor with cut-outs. 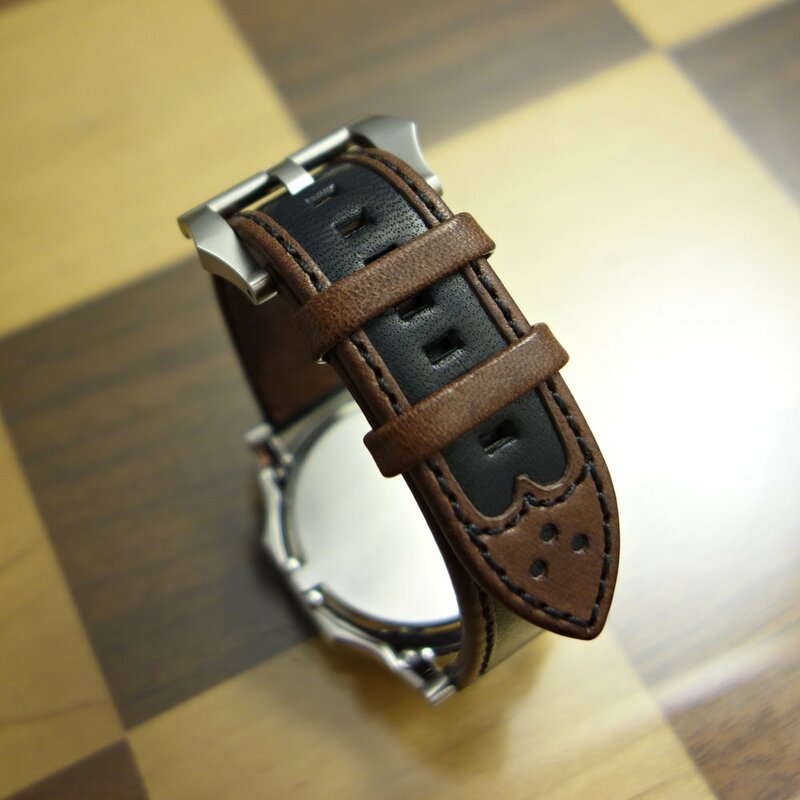 The Vale Park comes on a "wingtip" leather strap. Pre-order price is $800. Like the Vale Park? Reserve an ordering spot by adding your name to the Wait List! You'll be offered a watch before public release. If you would like to pick up the Vale Park then please add your name to the Wait List. You'll have a chance to buy before they are listed in the web-store.